With the influx of natural catastrophes, one of the main issues is not that property owners lack insurance but instead lack sufficient limits. Understanding the current value of your critical assets (i.e. building or a piece of equipment) is crucial. Determining the correct value before a loss will greatly increase the potential for an insurance settlement that truly puts you in the same financial position after the loss. Do you have an up-to-date inventory listing of all furniture, fixtures, equipment reflecting current replacement cost? Have you taken a serious look at the construction cost to rebuild your structure(s)? Are you aware that if upgrades and improvements are done to your structure, you should adjust your building insurance value? If you have property of others in your possession, have you taken this into consideration when determining your insurance coverage and values? Most businesses will never have to go through the experience of a major property loss but if you do, wouldn’t you want to make sure the appropriate loss exposure is transferred to your insurance carrier? The building limit selected for your insurance policy should represent the cost to rebuild the structure, with like kind and quality, in the event of a total loss – not the real estate market value of the building. 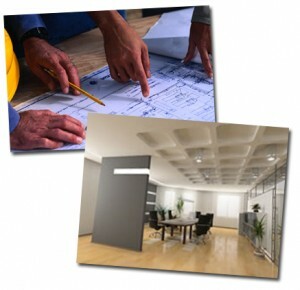 You are responsible to select your insurance building value so how do you keep current with the rising costs to rebuild? The best option would be to contact a contractor and obtain an estimate to rebuild your structure as it stands today. This may not always be feasible so other options may need to be pursued such as building replacement cost softwares. Often many carrier policies are amended to include foundations as well. If so, the value must be included in your building limit. What happens if my limit is insufficient? In the event of a total loss, you would have to personally fund $20,000 of the loss. In the event of a partial $10,000 loss, you would only collect $8,000 less your deductible leaving you to personally finance $2,000 of the loss plus your deductible. What if I am required to “update” my building to comply with current codes or ordinances? “Ordinance” – accounts for the cost to rebuild the undamaged portion of the building if required by code to demolish the undamaged portion. This coverage is included in your building limit. “Demolition” – provides coverage for cost to demolish the undamaged portion of the building if required by code to demolish. “Increased Cost of Construction” – provides coverage for the additional cost incurred to repair or rebuild to current code. The amount of coverage required for this truly varies building to building impacted by the age of the building and renovations that have been done throughout the years. In order to determine the proper limit for your business personal property, you should maintain an inventory of items included within the below policy definition. The cost to replace each item with like kind and quality should be referenced if your policy valuation is “Replacement Cost” (RC). If you have an “Actual Cash Value” (ACV) basis, then the “book value” should be utilized. What is typically excluded from BPP*? Most commercial property policies contain a coinsurance policy provision that stipulates the minimum amount of property insurance that must be carried. The standard options are 80%, 90%, or 100% of the replacement cost value. If your limit carried is not equal to or greater than your coinsurance percentage of your full property replacement value, you will be penalized at the time of a claim. Replacement Cost (RC): Pays the cost to replace the damaged property with like kind and quality used for the same purpose. This does not include ordinance or law costs. Actual Cash Value (ACV): Pays the cost to replace the damaged property with like kind and quality LESS depreciation. Agreed Value (AV): This is typically done in conjunction with RC and waives the policy’s coinsurance requirement. Selling Price: Used for finished goods, it pays the cash selling price less any customary discounts and expenses that otherwise would be incurred. Improvements and betterments are defined as anything that a tenant attaches to the landlord’s real estate that will become a permanent part of that real estate. When the tenant vacates the premise, the items will remain attached to the building. Since the improvements can be essential to business operations it is important to clarify who has responsibility for replacing them if they become damaged. A lease or separate written agreement can require the landlord to repair or replace the improvements along with the building. More often though, leases stipulate that the tenant is responsible to insure the improvements. If the lease does not address the issue of responsibility between the Building Owner and Tenant for the damaged improvements and betterments, the Building Owner can be assessed a coinsurance penalty for not minimally insuring the building to the coinsurance percentage. Building Owners can avoid the coinsurance penalty by attaching an endorsement to their policy that would exclude coverage for the improvements and betterments. There is no premium charge for this form. If the lease specifies that a tenant is responsible for improvements and betterments then the value needs to be considered when establishing the amount of property insurance a tenant needs to buy. Regardless of who the lease stipulates is responsible for insuring, the lease normally will include a mutual waiver of subrogation which means both the landlord and the tenant waive their right to recover damages from the other party, even if the other party may be responsible for the damage. A waiver of subrogation will not impair insurance recovery. Improvements and betterments are a rather simple item to insure. The building and business personal property forms also provide automatic coverage for them so it is just a matter of including their value in the insurance limit purchased. So whether you are a tenant or a landlord make sure the lease terms are clear to who is responsible for improvements and betterments. How is “unique” property valuation handled? A standard property Replacement Cost loss valuation would not be sufficient for an item with intrinsic value – such as historic buildings, antiques, fine art, etc – that can not be “replaced” with one of similar like, kind, and quality. Leaving your insurance company to define “like and kind quality” doesn’t guarantee that your property will be replaced with matching property and may not include utilizing a restoration specialists or artisan craftspeople. There are better solutions. Either scheduling property for a specific limit that has been verified by an appraisal or having a policy with a specialized loss valuation, such as your cost plus 30% or your selling price less 20% would be more beneficial at the time of a claim. Other options may be better suited for your specific needs. If obtaining an estimate to replace your structure in the event of a total loss is not feasible, our agency can assist by providing you with a building replacement cost estimate utilizing Marshall Boeckh Swift (MBS) software common to the insurance industry. The MBS arrives at a value by utilizing an average cost to rebuild based on basic details of your building. We can also review your business property value to assure it minimally meets the coinsurance terms of your policy and work with the carrier to obtain the best possible loss valuation for any unique property which you may own.